This season we will experience a new flight of female artistry, with five talented young women on Oxygen. The SisterhoodofHipHop which the show is entitled and produced by rapper/actor T.I. 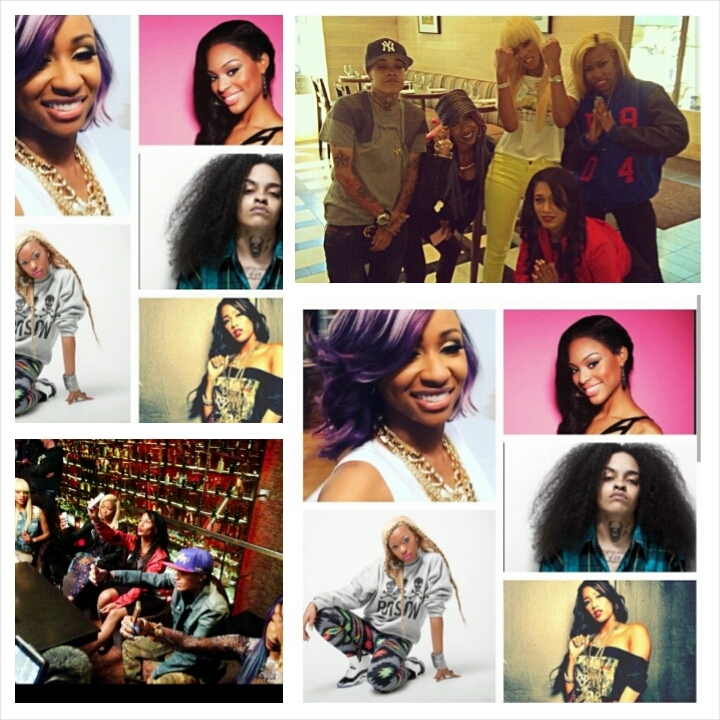 will showcase Briana Perry, Diamond, Bia, Nyemiah Supreme, and Siya. Each young lady brings a unique quality to the show and we are wondering who will be the drama Queen? Siya is lesbian, Diamond was Soulja Boi’s and Scrappy’s shorty, Bia reppin Boston, Nyemiah Supreme hails from Queens SouthSide And is signed to Producer Timbaland, and BrianaPerry has been cosigned from everyone like Beyonce, Trina, and is signed to Poe Boy records. Stay tuned….